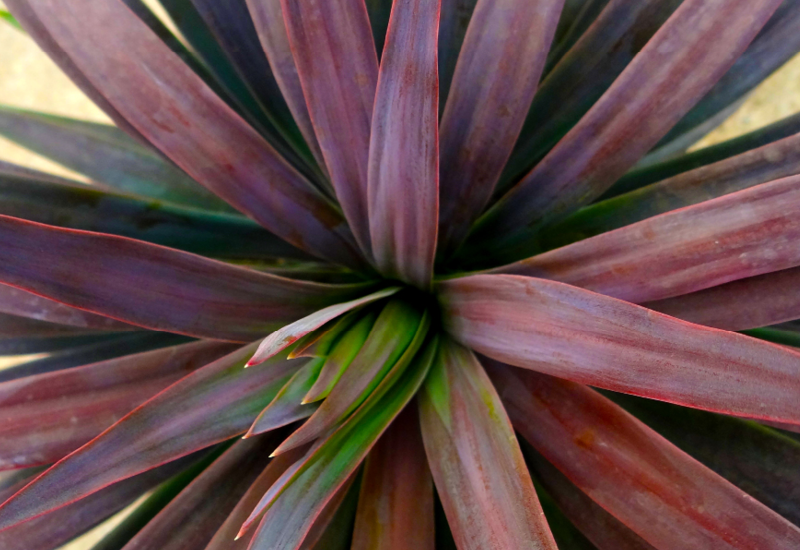 If you want something modern and striking, but also soft and graceful, then Yucca Desmetiana may be the choice for you. The new leaves emerge as a bluish grey, then become a rich burgundy colour. Very easy to maintain and care for. It would look absolutely stunning in a pot on your patio, but would make a very nice border in your garden as well.